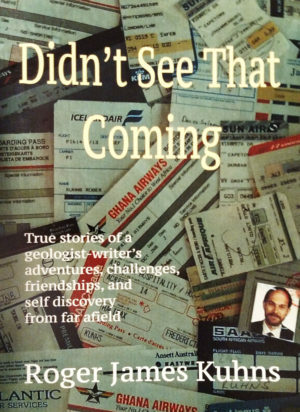 True stories of a geologist-writer’s adventures, challenges, friendships, and self discovery from far afield. Didn’t See That Coming…. 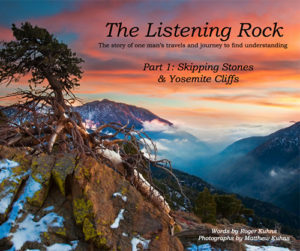 is an engaging interrelated series of stories, written as performance monologues, about the adventures of an geologist-writer as he lived and worked around the world. 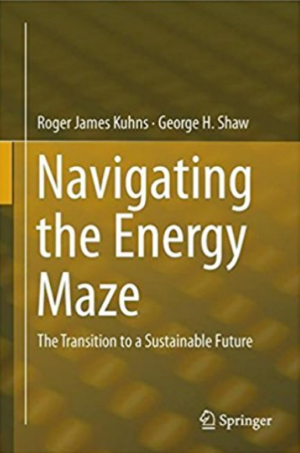 Herein are explorations of relationships between people and cultures, science and myths, communities and companies, and nature and civilization from several countries in Africa and South America to Russia to Australia to America and other points around the globe. These unique, insightful and poignant experiences will warm your heart and bring you laughter as you join the author on his adventures far and wide. 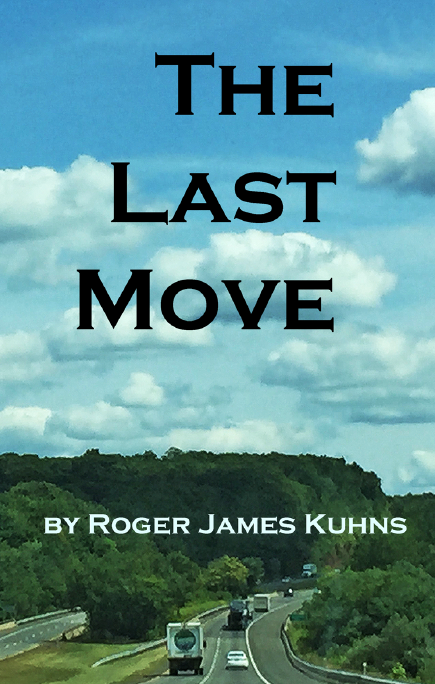 I had the privilege of seeing Roger perform one of the monologues in this book at The Clearing in Wisconsin. An absolute pleasure! Roger’s adventures will take you to places you never imagined with a colorful cast of characters to guide the way. His attention to detail paints a vivid picture to spark your imagination, allowing you to travel to extreme and desolate ends of civilization without leaving the comfort of your favorite chair. In the way a travelogue, Roger’s monologues take you there; in the way of a scientist he immerses you in the unique microcontext of what makes the place special . . . Spell binding, fascinating, unbelievable, hilarious, Roger delivers it all . . . no matter what the subject matter. Never miss an opportunity to “travel” with him. 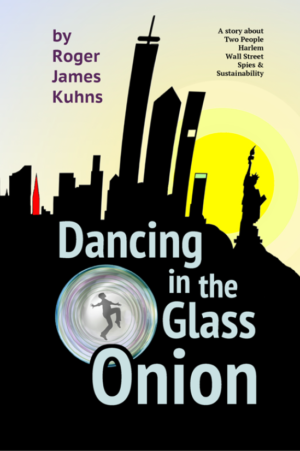 Fans who have enjoyed Kuhns’ dramatic monologues will want a copy of his book, as will anyone who is an armchair traveler at heart, curious about exotic but highly inconvenient (and sometimes risky) locations around the globe. Kuhns will disappoint neither audience . . . the author’s ability to capture settings, characters and situations, making them come to life for his readers. At the same time he is a contemplative narrator reflecting upon himself, the people around him, and the societies that he encounters. He is a world citizen who moves unscathed from one culture to another, observing, reporting, and contemplating.